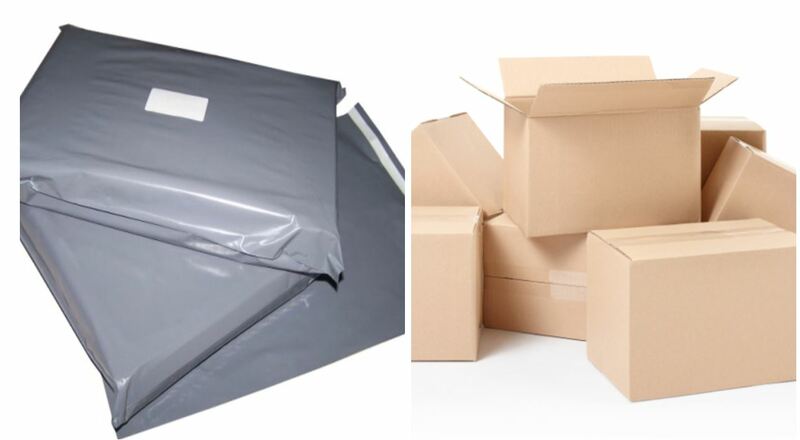 Which Packaging is more Environmentally Friendly, Polythene or Cardboard? However when compared to Paper/Cardboard production there are a number of interesting points which make uncomfortable reading from an environmental standpoint. Transport costs and the associated pollutants this results in are more than 20 times higher. 1000 paper bags = 64 kg whilst 1000 similar Polythene bag weigh 3.5 kg. The arguments about which packaging is more environmentally friendly, polythene or cardboard will continue to rage, however the main problem still is not in the use of any packaging material but our methods of disposal. The main argument on cardboard’s behalf is that is biodegradable and does not pose a threat to wildlife. However it does harm in its initial manufacture and recycling. Plastics can all be recycled whether by re-use, reclaiming or, if necessary, recovering of the energy inherent in the material by incineration. As with any other material, the message must be to Reduce, Reuse and Recycle as much as possible. As can be seen from the customer experience with Amazon, the amount of over packaging in cardboard is seen as wasteful and this is driven by the limits as to how many box sizes can be held at the packers location. The cost of switching all packaging to cardboard from polythene bags can add considerable cost to a companies operations and still not be the environmentally friendly option that is being striven for. ATL Dunbar are a long established supplier of packaging solutions including pallet wrap, mailing bags and cardboard packaging. We have expertise in selecting and designing solution to meet clients individual requirements. Please e-mail us or call us on +44 (0)161 797 6372 if you would like any advice or information on your packaging requirements.